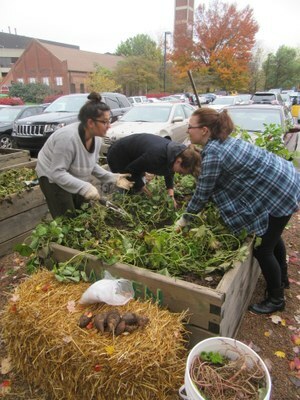 Join us in UofL's organic garden and greenhouse for our group workdays! Learn (by doing) how to grow hyper-local, super-delicious vegetables, herbs, and fruits! Anyone can work in the garden any time, but we'll gather together every Friday throughout the fall (Aug. 24 - Nov. 30) from 12pm to 1pm to harvest, plant, weed, and water. No prior experience necessary.